Lee Davy throws out his opinion on how we can solve our year in year out Poker Hall of Fame problems. 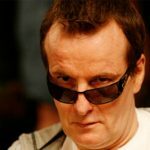 Did anyone believe the Poker Hall of Fame was going to induct the late Dave ‘Devilfish’ Ulliott? If you read Devilfish: The Life & Times of a Poker Legend or knew him from way back, you know the deck has never been stacked in his favour. 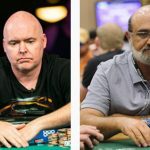 Had he been alive at the time of the announcement that Jen Harman and John Juanda got him ahead of him, he would argue that deck was still in play. It was never going to happen. Getting him on the short list was one thing. Getting him in the door was another thing entirely. The British poker community pushed hard for inclusion in the short list. It was in the hand of the Americans after that. Once it got to the final selection committee, he didn’t stand a chance. The problem with having a Poker Hall of Fame (PHOF) stuffed full of North Americans means they are more likely to vote for North Americans. I’m not sure of the demographic split of the media contingent, but if heavily weighted towards Americans, then I hold the same view. European Poker Tour (EPT) founder, and the very British, John Duthie, called the Poker Hall of Fame the Madame Tussaud’s of US Poker. He urged those that have sway in such matters to make immediate changes. Ignore him and you ignore the need for respect. Joe Beevers couldn’t wait that long. The former Hendon Mobster created a PHOF on his personal blog. He has one person in it: Dave ‘Devilfish’ Ulliot. 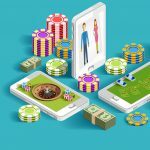 When it comes to the general public, nominations are swayed heavily by your introduction to the game and how you have viewed poker throughout your life. For those of us raised in the UK during the 1990s, we are heavily influenced by Late Night Poker and The Poker Million. The stars of those shows are our legends of the game. The North Americans will have grown up watching the World Poker Tour (WPT) and the World Series of Poker (WSOP). They would have seen North Americans dominate those tournaments. The stars of those shows are their legends of the game. The problem lies with those that decide the final vote. The way it currently stands it is highly unlikely that a non-North American player will become number 51 or 52. Even if you disbanded the PHOF Governing Council and the final voting committee process, and allowed the general public to vote, then I still feel that the North Americans will fair better because I don’t believe the Hall of Fame mentality is prevalent internationally making us less likely to vote. Not it’s not an easy one to solve. There is a widely held misconception that the PHOF is the World Series of PHOF, and that isn’t true. Caesars – who own the WSOP – own the PHOF, but that’s as far as their involvement goes. They don’t have a vote. They have made two changes since acquiring it. They restricted the age limit to 40 otherwise Tom Dwan and Victor Blom would have made the cut. They also introduced the Blue Ribbon Media panel to reduce the likelihood of a Vegas-centric feel to the whole thing. So they can make changes. This year 39 people got to cast their votes. 23 of them were in the PHOF, and 16 were members of the media. Each media vote came from a media outlet, and not a person, so I was involved because CalvinAyre.com received a media vote and this is designed to reduce the likelihood of bias. 39 people – that’s your problem. When you allow people to decide the fate of anything you bring personal thought into the process. It’s subjective. 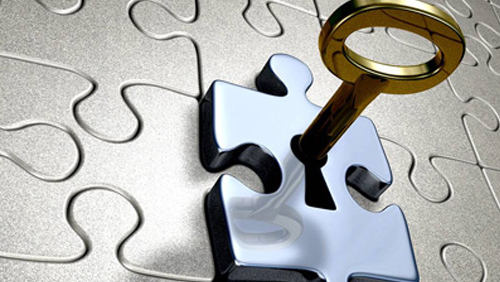 We should retain perspective, however, and learn from the inclusion of Jen Harman. It’s the sixth time she has reached the shortlist. She didn’t make it the previous five years. But she kept getting there. Jen Harman is proof that the system works in as much as it gets the right people on the short list (who could argue that Jen Harman doesn’t deserve to be in that PHOF?) It also proves something else that rumbles in my gut. Everyone who makes the short list, at one time or another, will eventually get into the PHOF. There is anger from the International poker community that not enough is being done to ensure the PHOF breaks away from it’s seemingly allegiance to a North American bias. I have a few ideas on how to solve this. 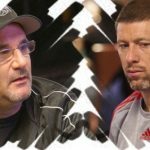 There is an Australian Poker Hall of Fame. You don’t hear the Aussies complaining that Joe Hachem, Jeff Lisandro and Tony G aren’t travelling for dinner at Binion’s. In their minds, they have already bestowed them with legendary status. I don’t hear anybody complaining. 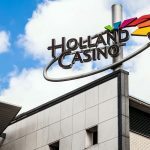 A quick Google search shows that there is a European Poker Hall of Fame. It looks like the video game equivalent of Pong. I am not sure of its roots or integrity. I would like it to be renewed from the bottom up, and the same for an Asian Poker Hall of Fame. We could change the Caesars-owned version to the Americas Poker Hall of Fame. While we are at it, let’s add an Online Poker Hall of Fame to that list, with a lower age limit for obvious reasons. Next I would like the PHOFs brought under one stewardship, and that ought to be Alex Dreyfus and his team at the Global Poker Index (GPI). He is the one person in poker trying to unite everything under one roof. It doesn’t matter if he is doing it for fame, money or the betterment of the poker industry – he is making inroads in fresh snow. We could link the European Poker Awards and the European Poker Hall of Fame, American Poker Awards with the Americas Poker Hall of Fame, and then branch out to do likewise in Australia and Asia, or create an Asian-Pacific Poker Hall of Fame and Poker Awards. I am not sure what the best process is for nomination and voting, but I believe a balanced approach is best. The general public could vote for one person, and an exclusive, but transparent, voting panel could elect the other person. I will end by addressing the elephant in the room. The issue that everyone skirts around without directly dealing with it. I am talking about the death of the Devilfish. The anger that now circulates the world – mainly the UK – regarding the PHOF comes about because the process didn’t induct Devilfish, and the reason this was so important to so many was because he had died. Selection criteria or no selection criteria, if a member of our poker community tragically dies, and they tick the PHOF boxes, then they should be automatically enshrined into the PHOF at the very next possible opportunity. It’s not even a debate. It’s logic in a business layered in logic. To celebrate a person’s legacy at the time of their death is a beautiful thing for that person’s family and the poker community at large. I can’t think of a grander remembrance. It’s true, the Devilfish will one day get into the PHOF. So why couldn’t that one day have been Nov 6, 2015?